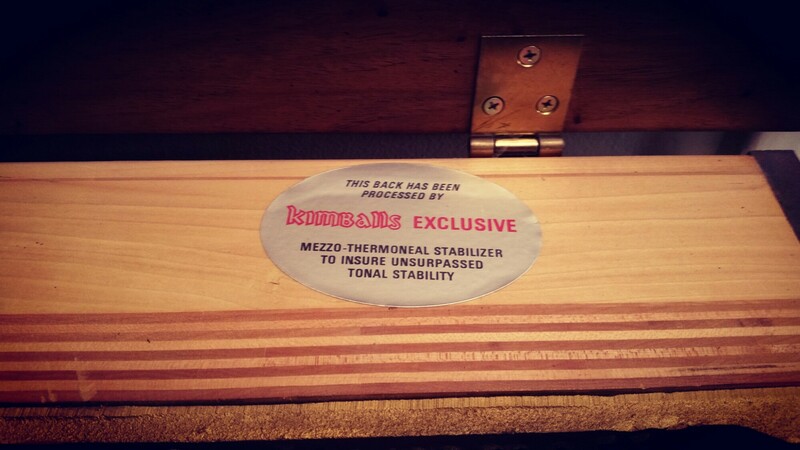 What’s a “mezzo-thermoneal stabilizer” you ask? That’s a great question. In the post-WW2 era, when the piano market was really taking off in America, manufacturers started coming up with all kinds of new patented techniques to make their pianos stand out from the competition. Or, at the very least, to make them sound special. “Mezzo-thermoneal stabilizers” are a great example. No one really knows what it means, but it sure sounds cool. Almost like your piano was designed by NASA! Most of these kinds of labels, unfortunately, are little more than marketing gimmicks. This particular piano is a 1979 Kimball Console. It’s actually a good little piano, but the mezzo-thermoneal stabilization probably has nothing to do with it!